Have you always had a dream kitchen in mind but have struggled to find a dedicated and reputable company to design it for you? Well, here at Acorn Building Contracts Ltd, we have a team of experienced kitchen fitters. Hedge End is one of the many locations where we are happy to take on clients. To get the process started, give us a call on 023 8024 3336. If you have recently bought a property, then you will want to put your own stamp on the place and make it your own. Perhaps you are starting from scratch when it comes to installing a new kitchen, or you fancy upgrading your current space. Well, here at Acorn Building Contracts Ltd, we have expert kitchen fitters in Hedge End. We all have a vision in our minds of how our dream home would look. So, why not start with the kitchen? 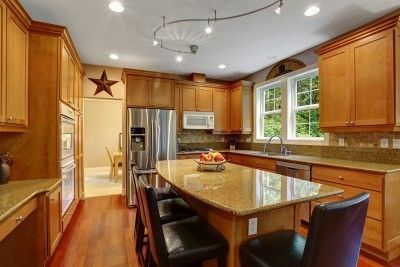 Come to us if you want a complete redesign or you just require some extra appliances. Our hardworking and dedicated kitchen fitters, Hedge End clients, can take care of the entire process, from start to finish. When you hire the services of our Hedge End kitchen fitters, you will be made aware that we can source, supply and fit appliances. On top of that, we can fit worktops, sinks and taps, depending on what you require. Our qualified professionals are on hand to help you design a kitchen that mirrors your personality and taste. All you have to do is tell us your vision and we will make it a reality. Our team at Acorn Building Contracts Ltd tailor everything to your requirements and desires. Our kitchen fitters in Hedge End are capable of installing cabinets, drawers, worktops, feature lighting, underfloor heating and tiles. You will understand quickly why we are the go-to company for bespoke kitchens. While a large number of our client base come to us with domestic projects, we also cater to commercial clients. Our Hedge End kitchen fitters tend to work with private clients, but we do offer office refurbishment, partitioning and decoration services to the commercial sector. If we are undertaking a large-scale project with you, then you need to choose kitchen fitters in Hedge End that you can rely on. 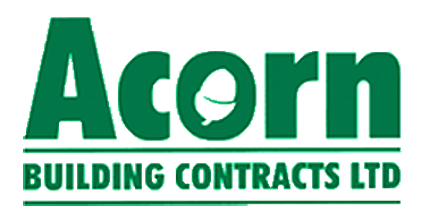 Our team at Acorn Building Contracts Ltd are honest and transparent, and we make sure that you are involved with the process every step of the way. We are only satisfied when the client is content with our work. Unfortunately, not every company you find when searching for kitchen fitters, Hedge End residents, will stick to a timeline. If you come to us, though, we can make our entire team, as well as all the appliances and fixtures, ready for you within four to six weeks. This means that once you have agreed on the project details with us, you will not be left in the dark regarding a start date. The leading figure behind our fantastic company is Darren Cunliffe, who has amassed more than 25 years of experience in the construction industry. As mentioned, we have an array of services that we offer at competitive prices. So, if you need top quality kitchen fitters, Hedge End clients, you have come to the right place. Also, keep in mind that all of our experienced tradesmen are fully insured. You have nothing to lose by enquiring about our kitchen fitters, Hedge End residents, as we offer a free quote! To find out more information about how we can transform your kitchen, get in touch with us by calling 023 8024 3336. Alternatively, email us at acornbuilding@gmail.com or contact us by filling in our online form.